Hey, everyone! It's a yucky rainy day here in my part of West Virginia...a day perfect for sitting around the house watching spooky videos. So, today I thought I would discuss where I find a lot of the spooky paranormal lectures, documentaries, podcasts, and other short videos that I love to watch and share with you all. If you're familiar with my blog and/or my Facebook page, you know I often stress two things: 1. Education in the paranormal field; and 2. FREE or cheap resources. 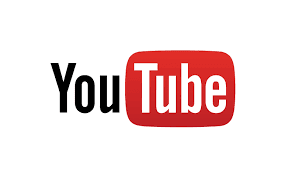 That makes YouTube a perfect site for paranormal investigators and enthusiasts. There are so many awesome videos out there for us. You can find documentaries and television shows on just about any paranormal topic you can think of. You can see how other teams engage in the investigation process. You can analyze potential evidence. And, my favorite part....you have access to lectures and conferences that time, cost, or distance might keep you from physically attending. It would be impossible to cover all the great YouTube channels that provide this information, free of cost to anyone with internet access, but here's a few channels that I love and subscribe to. As usual, check me out over on Facebook to let me know what channels YOU would recommend to those in the paranormal community! 1. Appalachian UFO Research Society--A look at UFO footage and case summaries from the Appalachian region. 2. ASSAP Conference Films--Conference footage from various events hosted by the Association for the Scientific Study of Anomalous Phenomenon. 3. Captain Disillusion--Funny and educational, Captain Disillusion debunks viral videos, many deemed paranormal, that are just too good to be true. 4. ghosting12--This is the channel for a paranormal investigation team based in Ohio. Lots of history of the places they investigate, plus footage from investigations. 5. Haunted Road Media--Anything and everything paranormal, including new, original content posted every Tuesday. 6. Kenneth Biddle--Kenneth Biddle, of I Am Kenny Biddle fame, critically examines and offers a healthy dose of logic and common sense towards some of the paranormal community's more incredulous claims.